Together we can make a difference! Our goal is to help facilitate a strong community of families, students, teachers, and staff that works together to create the best learning environment possible for our Muir students. 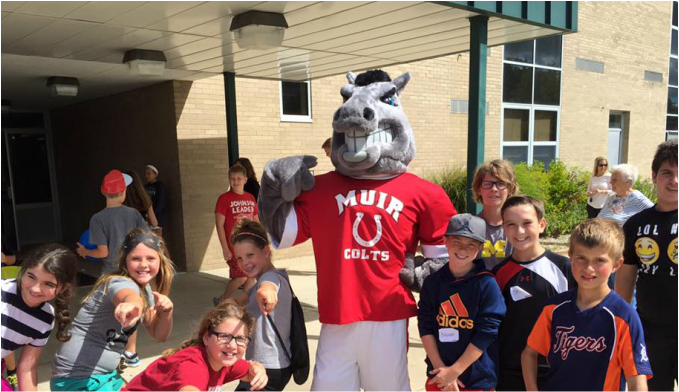 A few examples of how the Muir PTC utilizes donations to benefit our school community are: folding chairs for school events, windbreakers for band students, the painting of the Colt mural, technology, and treats for honor roll students. Muir Spirit Spree! Our biggest fundraiser held on Sept. 21. Visit Muir homepage for the details!